"America I find is not the America I wished to find. It is racist, it is hateful and its citizens are bound to destroy themselves." This is Tuvia Tenenbom's cringe-worthy conclusion in The Lies They Tell, a chronicle of his wanderings through America to find out what makes it tick. But Tenenbom doesn't appear to know a thing about America—despite living in New York for 15 years—and seems unable to learn. What makes this more astonishing is that Tenenbom's Catch the Jew!, his previous book, was as insightful as his latest is muddled. That book, a gutsy exposé of European funding of non-governmental organizations (NGOs) in Israel, with the complicity of some Jewish groups, was the first hands-on, direct-contact revelation of what these NGOs were up to, i.e. undermining Israel's legitimacy. Israel's government seems to have awoken to the danger. Recently, Prime Minister Benjamin Netanyahu refused to meet with Germany's foreign minister after he conferred with anti-Israel NGOs. Tenenbom understood what he was talking about in part thanks to his unusual background. Groomed to be a rabbi in Bnei Brak, an ultra-Orthodox neighborhood in Israel, he broke away to pursue secular studies, formed the Jewish Theater in New York, wrote numerous plays, and became a columnist for the Jewish daily The Forward. Fluent in German, he also writes for the German paper Die Zeit. Unfortunately, none of this gives him special insight into America. Tenenbom admits that the rest of the country is to him a blank. "Like many New Yorkers, I don't know much about the other forty-nine states that make up America," he writes. Catch the Jew! had the added benefit of being Tenenbom's idea, something that can't be said of his latest effort. As he notes in his introduction, "Following the success of the two books, [I Sleep in Hitler's Room, on Germany, and Catch the Jew!] my devoted editor, Winfried Horning, asked me to add another book to the series. . . . Winfried thought that the time had come to have a book about America as well." Tenenbom decided the best way to "portray the character of the country and its people" was to go out and meet people. He tours the states, but without a reason (apart from a book contract) or theme his wanderings appear aimless, even to himself. While in Cleveland, he writes, "I ate. I walked. Time to rest. Tomorrow I drive. Where to? Detroit. Why? Because there's nothing more American than Detroit. How do I know? I just made it up." The book is filled with this sort of empty trivia. Tenenbom travels for six months, chatting with a racially diverse cast of Americans. He pesters them with questions about politics, religion, and race. Not surprisingly, they're reluctant to answer. Maybe in Germany and Israel strangers love arguing about politics with strangers, but in this country, starting in on politics with someone you've just met is considered rude. Author Robert D. Kaplan, who made a similar trip, writes in his Earning the Rockies, "If you ask people straight out about such things as politics and foreign policy, they will often as not adopt a pose: after all, they don't know you, and they may be uncomfortable about being quoted in public." Tenenbom doesn't entertain the possibility that the people he buttonholes don't want to open up to him; instead, he decides they're frightened. Americans, he concludes, are "afraid to share their political and religious views with strangers. In the Land of the Free, the Brave are quiet." This peculiar idea becomes a major pillar of his book. What makes his conclusion odder still is that inside of three minutes, many of these same interviewees warm to him. How else does he know what Robert and Kim, a couple he meets in a restaurant in Gettysburg, think about the Arab-Israel conflict and the Civil War, or that the girls in an Arab bakery in Dearborn, Michigan love Hezbollah's Hassan Nasrallah, or that Mike, a ranch owner in Montana, hates Obama, opposes gun control, goes to church once a year on Christmas, and thinks that the Jews in Israel should be sent back to Europe. When he talks to Andrea, a hunt club manager in Wisconsin, she says, "Liberals are doing what they want: abortions, gay rights, anti-gun legislations, and we have to bite our tongues. It will not last forever. We don't talk but we are preparing, we are analyzing, and when something happens we will be prepared." Do these people seem too frightened to speak their minds? Andrea sounds like she's preparing for a revolution. Tenenbom pads his narration with tedious reviews of the meals he endured ("the bread in this country . . . is most suitable for dead dogs") and attempts to anthropomorphize his rental cars. He might have navigated his way through the United States by GPS, but he leaves readers lost as to why he wrote this book. Tenenbom does have occasional bright spots, for instance when he gets the idea to visit Obama's old state senate district. It's as destitute as when Obama first ran in 1996, and no one can point to a single improvement since then. "If one is to judge by deeds rather than words, he cynically used these people's hardships to get ahead of the other contenders, but he doesn't care a bit about the people who put him in power," he writes. 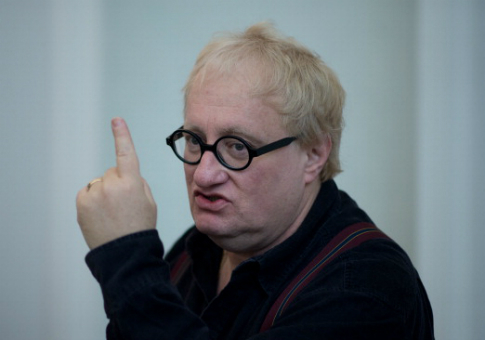 At times Tenenbom also displays the same gutsiness he did in Catch the Jew!, where he hobnobbed with major terrorists in PA-controlled areas, pretending he was a sympathetic German. He is warned not to go to Obama's old district, along with many other such neighborhoods, because they're too dangerous. He treats these warnings as invitations, making a beeline right to them. And whenever the subject is Jews, he shows a great deal of understanding. The American Jewish communities he visits are going extinct. Yet in St. Paul, Minnesota, a synagogue seems more worried about racism against blacks than anti-Semitism. At HaaretzQ, a Washington, D.C., convention, he witnesses 1,000 Jews applaud every libel hurled at the State of Israel. As he notes when visiting a dying synagogue in the South, "It is the story of American Judaism that I have already seen: people who dedicate their resources to help others and to fight themselves are doomed to succeed on both fronts." Such brief flashes can't save this book. Tenenbom hits bottom at the end by clearly pandering to his German audience, describing an America whose various racial groups live in fear of one another and have forsaken their ancestry for a melting pot that gives them "nothing worthwhile in return." America is a kindergarten with "misbehaving little kids" who have "huge bombs and sometimes they like to drop them," he writes. Patriotic Americans come off worst of all. They "convince themselves that they are the only true guardians of culture and morality and therefore it is their duty to invade and bombard foreign countries that do not abide by their sense of morality and ethics." Presumably he feels this nonsense will be lapped up by Germans as it feeds their anti-American prejudice and perhaps eases their guilt about their own history. In the end, Tenenbom has done a disservice not only to his adopted country but also to his reputation as a perceptive commentator. There are far better books for those seeking insight into America, such as Charles Murray's Coming Apart, which examines how the American way of life is eroding, or Hillbilly Elegy, which personalizes that story. And of course there's Tocqueville's Democracy in America, the original road trip through America. If Tenenbom had done some serious reading before setting out, he might not have produced such a silly book.